For over 30 year Randall Crim has created enticing and cutting edge environments. His portfolio includes private homes, corporate and executive offices, retail showrooms, boutique hospitality and special events installation to name a few. Randall jump-started his design career in Kansas City. In 1985 he relocated to Laguna Beach California and established JRC Designs. In 2005, he expanded his business to Los Angeles and Las Vegas. 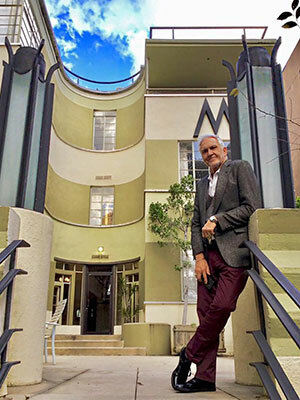 Randall now showcases a boutique design studio in Hancock Park/Larchmont area on Melrose Ave.
With the motto “attention to detail” over the years he has maintained a long-term relationship with his clientele. Following a simple rule, “listen to the client’s needs and desires” - vital to creating successful projects and satisfied clients. His Brand now includes custom designs of furniture and accessories under the label, Randall Crim Lifestyle Designs – chic, current, correct.